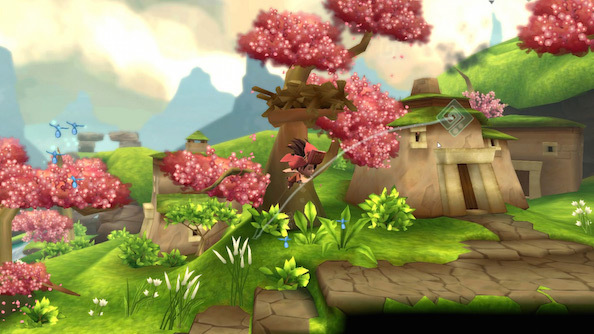 LostWinds: The Blossom Edition giveaway! Win one of 20 copies of this colourful metroidvania, worth $14.99! Originally released as digital titles for the Nintendo Wii, LostWinds and LostWinds 2: Winter Of The Melodias have finally brought their brand of charming platforming to PC, and we’ve got 20 Steam keys for ‘The Blossom Edition’, a bundle containing both games, to give away. With the world of Mistralis in peril, LostWinds places you in the shoes of Enril the wind spirit, as you’re tasked with protecting a young boy named Toku, who has in a typical fashion, been the one chosen to release the curse placed upon the land. On top of babysitting duties, Enril’s elemental powers allow you to solve puzzles, defeat enemies and guide Toku through each level. LostWinds 2: Winter Of The Melodias is a direct sequel to LostWinds, and introduces the mechanic of being able to manipulate your surroundings by changing the seasons between summer and winter. With this new power, you can channel your inner Elsa and freeze everything in your path (unfortunately minus the musical numbers), or use the summer heat to melt obstacles and reveal hidden secrets. All you need to do for a chance to win one one of 20 copies is enter via our widget below. Each action is worth one entry into the draw, so the more entries you complete the more chances you’ll have to win. We’ll also need your email address, not for nefarious purposes, but simply so we can email you a code if you win. If you like our giveaways, don’t forget to drop us a Like on the PCGamesN Facebook page to stay up to date with all our future giveaways.